I don't write about every concert that comes to town, but these two upcoming shows caught my eye. 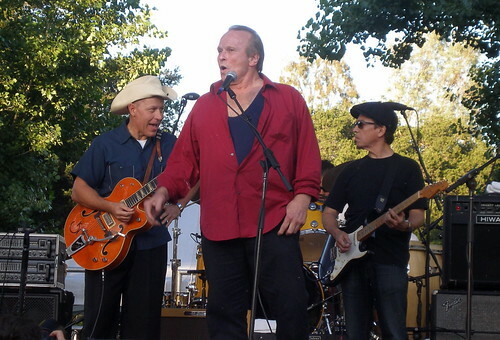 Dave and Phil Alvin -- yes the brothers behind the original blasters -- are scheduled to do an April 26 show with Santa Fe's own Terry Allen at San Ysidro Church, 966 Old Church Rd. in Corrales. Southwest Roots Music is describing the show as "an evening of acoustic song swapping, jabs, jokes, pokes, and a deep dive into the American roots music catalog." I've seen all these guys play separately -- Phil with The Blasters at the 2009 Hootenanny Festival in southern California -- but never together. But come to think of it, one time at a Terry Allen at La Zona Rosa in Austin, I saw Dave Alvin in the audience. He looked like he was having a good time, but we all were. Tickets to the Corrales show are $22 advance, $25 door. You can order online HERE. 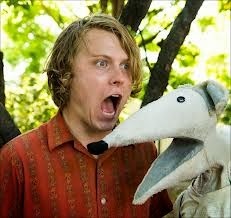 Another show that sounds great is garagepunk hero Ty Segall, who apparently is playing the High Mayhem in Santa Fe (2811 Siler Lane) on Tuesday March 18 and the Launchpad in Albuquerque the next night. World Premier of "Satan's Bride"